Continuing our travels up the coast of California from peaceful Santa Barbara the evening traffic into San Francisco lived up to every comment I had read. 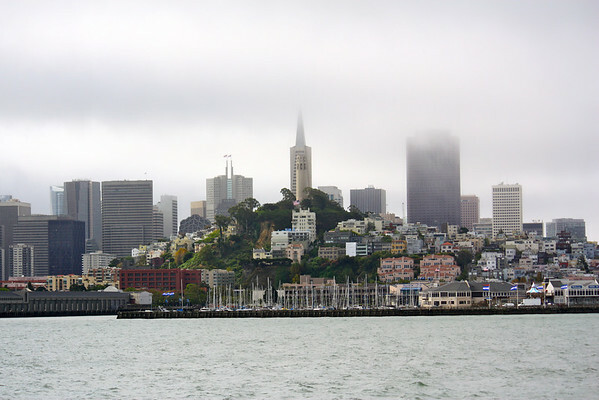 My excitement built as I returned to my hometown of some 25 years ago as we passed SFO and my husband and I marveled at the changes to the airport since we had last visited. Candlestick brought back happy memories of my beloved Joe Montana, Dwight Clark and Jerry Rice, the Ticky-Tacky houses reminded me of my dad, and within a few minutes the 2mph (if we were lucky) traffic reminded me why I love my sleepy surf town of Carlsbad back home. With our destination being the Chancellor Hotel on Powell Street, smack in the middle of Union Square, our stomachs clenched just a bit as my husband attempted to navigate past Moscone Center without hitting any of the celebrating Giant's Fans teaming across the street decked out in black and orange team regalia. The iPad map showed a bend in the road, but not which lanes continued straight. Thankfully my son's eagle eyes spotted a left only turn lane just in time for my husband to move right to take us straight across Market and into the heart of downtown. Feeling like bumpkins entering the big city the kids had wide eyes as we navigated our way to the Chancellor Hotel just in time to watch a cable car steak past on its way to pick up more passengers. The bustle of the city brought me back to my school days, but the kids stared, somewhat overwhelmed at the height of the buildings surrounded with the flurry of people, honking horns and clanging of the cable cars. Entering the haven of the hotel lobby brought peacefulness back into their bodies as everyone enjoyed one of the warm chocolate chip cookies upon check in. Heading up the small elevators which have transported guests to one of the 137 rooms since 1914, our family arrived at the 11th floor weary and ready for a rest. 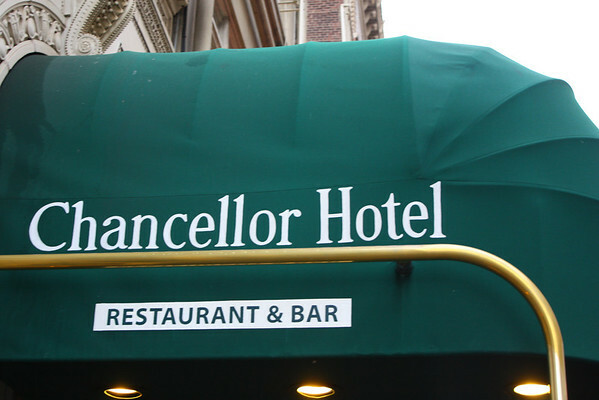 Small, but nicely appointed rooms with windows opening to Powell Street below brought smiles to everyone's faces as we leaned out to greet the fog swirling down the hill along with another clanking cable car. Fire escapes line the outside of the hotel and had me exclaiming "NO!" to Liv's first question of "Is that our balcony and can I stand out there?" Ceiling fans made up for the old hotel's lack of air conditioning and a jar of hard candies made up for my son's lack of lunch. Free WiFi is available and a large, old fashioned soaking tub had my name on it for later in the evening. The open windows let in fresh air, however my husband admitted later in the trip to having difficulty sleeping with the constant noise of the never sleeping city. Shopping on Union Square is always a treat and taught Liv that our local mall is not the big event she thought it was. A four story Forever 21 had her literally leaping with pleasure along with the Victoria's Secret just a block from our hotel. She loved the fragrant Lush store filled with fresh handmade soaps and was introduced to a world of people different from home when a man with streaked blond hair gave her tips on how blonds really do have more fun (she loved that a man would know about handmade soaps and shampoos!). With a beaming smile and packages tucked under her arm we made our way around the corner to meet the guys at Macy's for a family friendly dinner at the Cheesecake Factory. The next morning had us up early and dining at the hotel's restaurant, Luques. The restaurant is fine but nothing to write home about and with so many better dining options in San Francisco one visit was enough for me (try Honey Honey Crepery just down and around the corner for a real breakfast treat!). 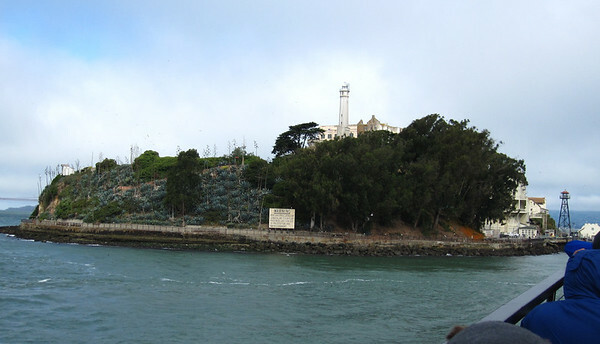 With our newly purchased 3-Day Cable Car passes on hand we rushed outside and jumped on the Mason/Powel line, destination: The Rock... Alcatraz Island. Wrapped in appropriate foggy August attire (jackets and long pants complete with socks and shoes) the family laughed as I shivered in my capris, light sweater and was the only person in the City wearing flip flops in August. With the wind in our faces we traveled up Powell and did our best Dorris Day impressions as we rode the car to the end of the line near Fisherman's Wharf. 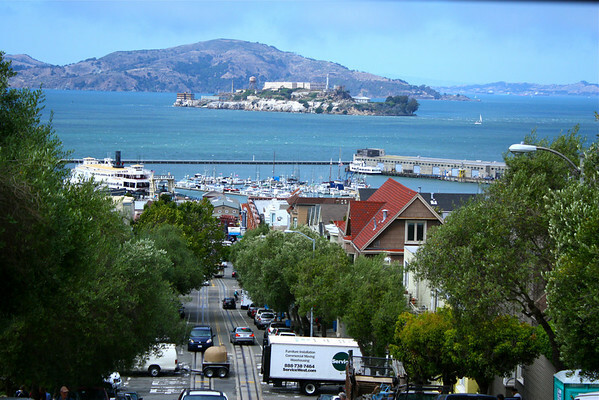 A few blocks walk had us arriving at Pier 33 and Alcatraz Cruises in plenty of time for our designated tour. Note: Alcatraz is an extremely popular destination in the city of San Francisco and tickets to the attraction are often sold out weeks in advance. Most days will have no available tickets for those who did not plan ahead. Book your reservations up to 90 days in advance at Alcratraz Cruises. 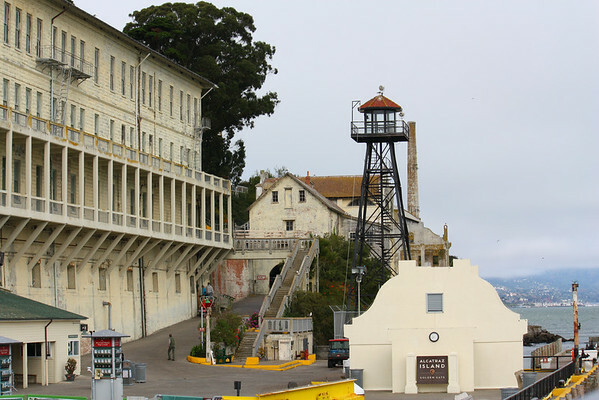 Most people know that Alcatraz was once a world-famous federal penitentiary, but the island’s history before and after the penitentiary era is less well known. For example, few realize that it was also the site of the first American lighthouse on the West Coast and that the island served as a huge harbor defense fort during the Civil War. After the fort became obsolete, the U.S. Army turned the island into a grim military prison. Following the closing of the penitentiary, Alcatraz became the site of a American Indian protest movement that would change modern American history. Rich in history, there is also a natural side to the Rock - gardens, tide pools, bird colonies, and bay views beyond compare. 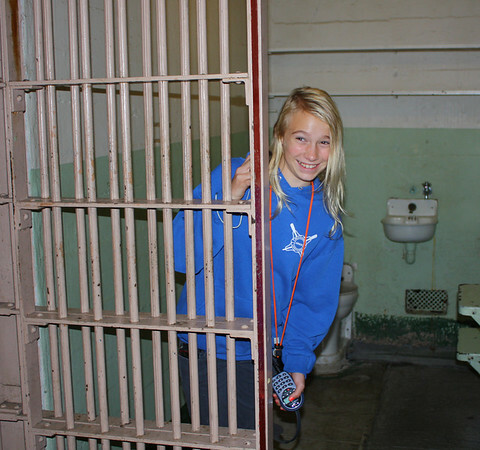 Included in your Alcatraz Island ticket is a Cell House Audio Tour. Taking you through the cell house with narration from former inmates and guards the tour brings life to the empty cells and courtyard. With stories of daily life and breakout attempts the audio tour held everyone's interest and left us wanting even more. From Al Capone to Machine Gun Kelly and Robert Stroud, the Birdman of Alcatraz, the history and lore of the tour gave a grim impression of life on The Rock during its penitentiary years. Definitely a highlight of our trip, Alcatraz Island is highly recommended! Back on land and with our stomachs rumbling, my husband and I directed the kids towards Fisherman's Wharf, an area we had both often visited as youngsters ourselves whenever out of town guests came for a visit. 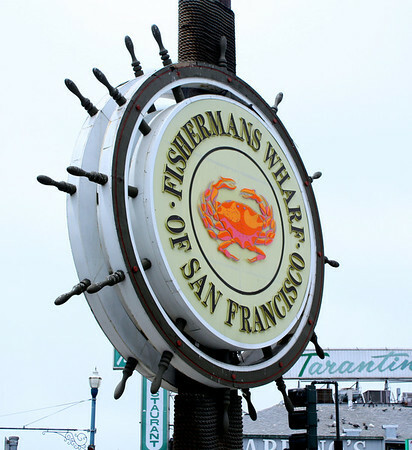 Memories of steaming steel vats, piles of fresh crabs and clam chowder in sour dough bread bowls came flooding back as the infamous Fisherman's Wharf sign came into view. Perhaps it was the passing of the years and visiting now as an adult rather with our 35 years prior child-like eyes, but the area is not the traditional Fisherman's Wharf that I remember. The crab pots remained along with the restauranters informing you that they only had one good seat left that just happened to be for four people and men were still hawking their fresh crab hauls. The clam chowder in the bread bowl also remained, but somehow the area had lost much of its charm. A large In N Out Burger somehow seemed out of place and an aura of tourism filled the air along with the steam from those famous crab vats. 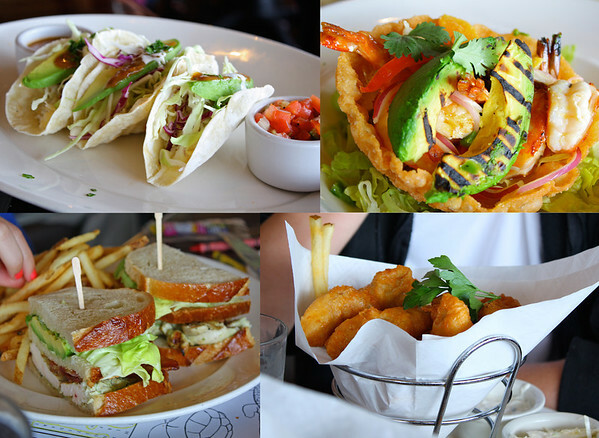 Still worth a visit, Fisherman's Wharf brought back those memories of our childhood while a visit to Bistro Boudin's filled our stomachs. With stunning views of the Golden Gate, Alcatraz and the bay, a bowl of crispy sour dough was promptly devoured and a second one requested as we awaited our pricey lunch. My husband's Crab Tacos were good as was my Bistro Shrimp Salad with Grilled Avocado. Liv enjoyed a Chicken Bacon Sandwich served on the famous sourdough bread while my son munched on his Anchor Steam Beer Battered Fish and Chips. All in all a good meal, but priced high for tourists and with smallish portions the view was the best part. However, it was exactly what we expected and no one was disappointed. Downstairs a visit to the bakery has a 30 foot observation window allowing visitors to view bread making in action. The aroma of the freshly baked sour dough was intoxicating as loaf after loaf was shaped, baked and wrapped for sale. Next time I'd probably visit the Boudin Cafe in place of the Bistro and take in the sights and smells of the bakery. If you are looking for a view though, the Bistro is your spot. Norbert Yancy - A hidden treasure! Moving on to Ghirardelli Square, another childhood favorite, my heart burst with happiness to see Norbert Yancy still on the corner below the square. Mr. Yancy has been sitting and singing on that corner for as long as I can remember and as a reviewer on yelp wrote, he is "An unknown known performer, Norbert's signature is a black hat, blue sweater, unwavering cheer and an endless supply of rhymes." I still remember walking by when I was about 10 and he did a little ditty about the pants I was wearing (my mom had me wear something fairly colorful and yep... I did stand out.) 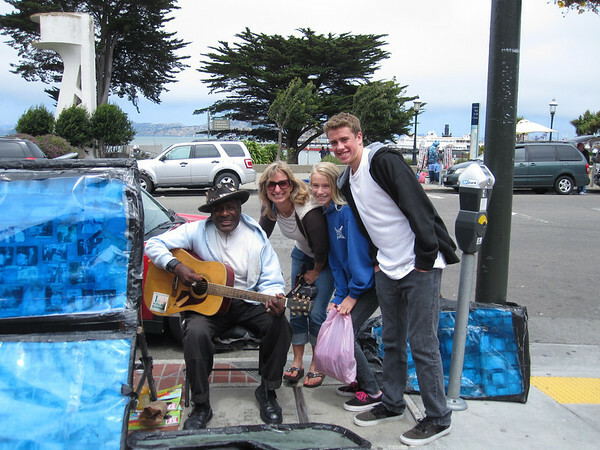 I have never visited Ghirardelli Square without him singing on that corner and have always looked forward to his rhyming song. Norbert is one of those hidden treasures in the city and sure to bring a smile to your face as you visit. Heading into the square with ice cream on our minds my elation deflated as soon as I read the Ghirardelli menu. Years past had the sundae concoctions all named to be reminiscent of this beautiful city by the bay with The Rock, three large scoops of ice cream surrounded by marshmallow and whipped cream and topped with fudge sauce, nuts and cherries always being my favorite. This visit had a similar sundae, however the noted title of "Three scoop sundae with marshmallow and whipped cream" was far less charming than in the past. And far less ice cream for a higher price than in the past as well. 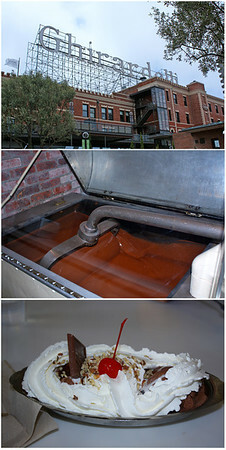 However, the smell of the parlor along with the large chocolate vats in the back made our trip reminiscent of our childhood, and we got off with less calories, so I guess all was good. Tired feet took us to the cable car turn around as we walked past gorgeous bay views and tourists on segway tours. 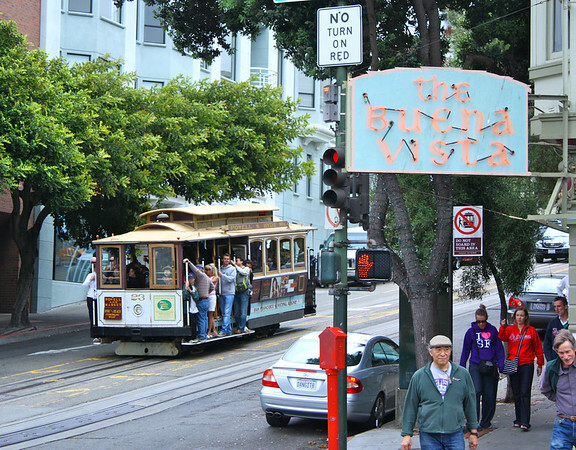 Bikers filled the area with cameras in hand as we watched the Powell-Hyde Cable Car reach its last stop just across from the infamous Buena Vista, known for the creation of the Irish Coffee. Know that the wait at the cable car turn around can be lengthy, but an endless supply of local entertainment will keep your attention - Escape Man had the kids laughing as he escaped from a straight jacket and chains giving a comedic narration all the way through. Packing the cable cars to capacity on their return to Union Square the view from the back of the car on this line is particularly spectacular! Soaring up the hills of the city, one is treated to the stunning views of Alcatraz and the bay that are made to be featured in films (or tv commercials!). A wonderful day filled with the sights, sounds and aromas of the city had us all pleasantly tired and ready for a quick meal before heading to bed. Was it crowded? Yes. Was it cold? Yes. Was it touristy? Another yes. Was it worth it? Absolutely. Oh how beautiful. 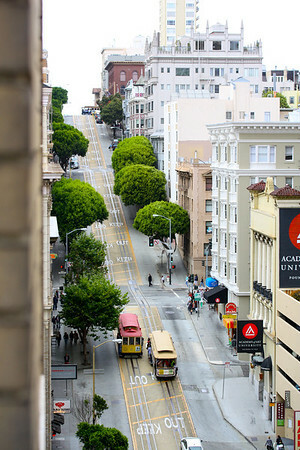 San Francisco is on the top of my list of places I want to visit. Your pictures are stunning. We were in SF 7 yrs ago and went to all of the places that you did with the exception of Alcatraz. 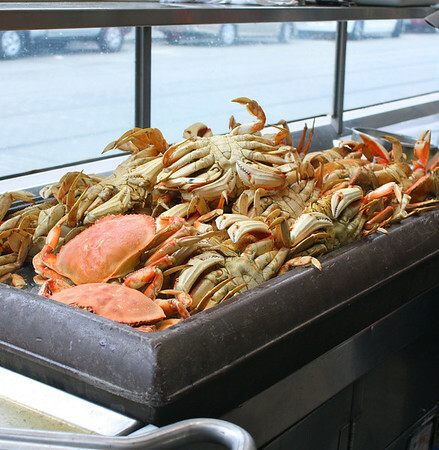 the crab stands on the sidewalk were so good, as well as Ghiardelli's. Your pics are much better than mine were, however. Yay! I love your hometown! Glad you all had a good time. What a fun trip! Is the Chancellor hotel the one that gives you little rubber duckies in the bathroom? 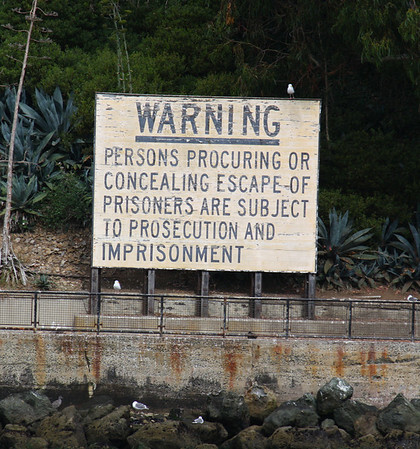 I have never been to Alcatraz in all my visits to the bay- I totally want to go one day! What a great tour...you really saw a LOT of San Francisco! Thanks for sharing! Great post and lovely pictures, thanks for the share! Would you believe that I have never been to Cali at all except for once in a stopover in the SF airport. But your pictures and stories make me want to take a special trip. Hope you had chance to visit The Ferry Building. What great destinations! Have more fun and safe travels!